Ring up some fun with the classic Cash Register! 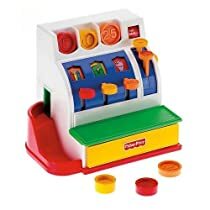 There are colorful, numbered coins to sort and drop, buttons to press, and popping, spinning, rolling action. This item is a Toys R Us Exclusive.